Offering you a complete choice of products which include mouse pad printing service, trophy printing service, cap printing service and offset printing services. 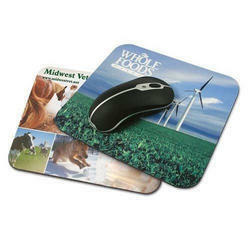 We are among the leading names in the industry offering Mouse Pad Printing Service. We utilise premium quality colours that do not fade away with time. Our printing process is standardised, which helps us in attaining consistency in the quality of the final output. We provide finishing to the banners as per the requirements of the customers. With the application of cutting edge technology and high-quality materials, we create effective promotional tools for our customers. Our firm is rendering Trophy Printing Service. To implement this service, we have selected a skillful team of professionals who hold prosperous acquaintance of this area. Furthermore, we render this service as per the details provided by our honored consumers. 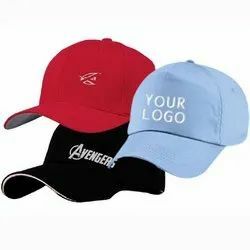 Leveraging on our huge industry understanding and knowledge, we are providing Cap Printing Service that is broadly used for several sectors. These provided services are delivered by well-trained professionals as per set industry guidelines. Due to its perfection and promptness, this service is broadly valued by our clients. We are an established firm involved in offering a wide range of Offset Printing Services. These printing services are provided by our team of professionals as per industrial quality standards. Our printing services guarantee unmatched quality. The printing services offered by us are provided to clients at extremely reasonable market prices. The printing services make use of highly advanced technology and techniques.